Fritz Egli was born in 1937 and had aspirations, as perhaps did many of us, of being a successful racer. The only problem was that he wasn’t quite as successful as he would have liked with his 998cc Vincent. Was it him or was it the Vincent? Well, he thought Messrs Vincent and Irving’s frame wasn’t up to much so he designed and built his own chassis – and went on to win the Swiss national hill climb championships with his chum, Fritz Peier. Herr Egli decided that frame building was more his forté so gave up the racing and went on to design frames for all sorts of engines, including Ducati, Kawasaki and Honda, employing his trademark large diameter top tube from which to hang said engines. These frames were manufactured from chromium-molybdenum alloy, with its benefits of strength, rigidity, wear resistance, corrosion resistance, toughness and relative ease of fabrication, and they were usually nickel-plated so aesthetically pleasing as well as functional. 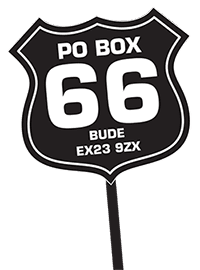 Patrick Godet is a Frenchman, a long-time Vincent enthusiast who successfully campaigned the big twins between 1979 to 1983. These days he not only restores Vincents and Egli Vincents to ‘as new condition’ but will also sell you a café racer or Sport GT using a Vincent engine and the Egli-type frame. 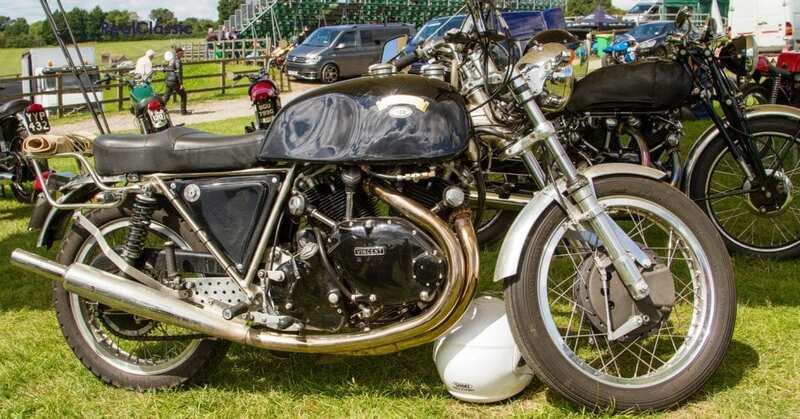 Egli gave Patrick the rights to use the name Egli on his Vincent-engined racing machines – anything else is a replica, rather than the real deal. 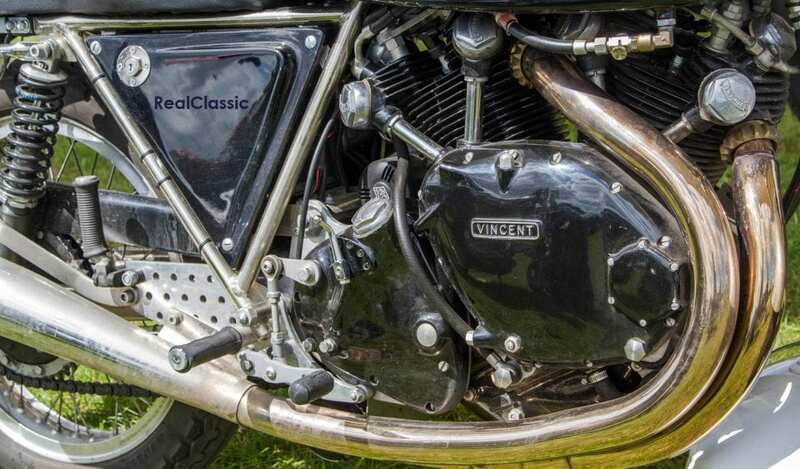 Back in the day, Slater Brothers in the UK used to build genuine Egli-framed Vincent twins under a similar licence. 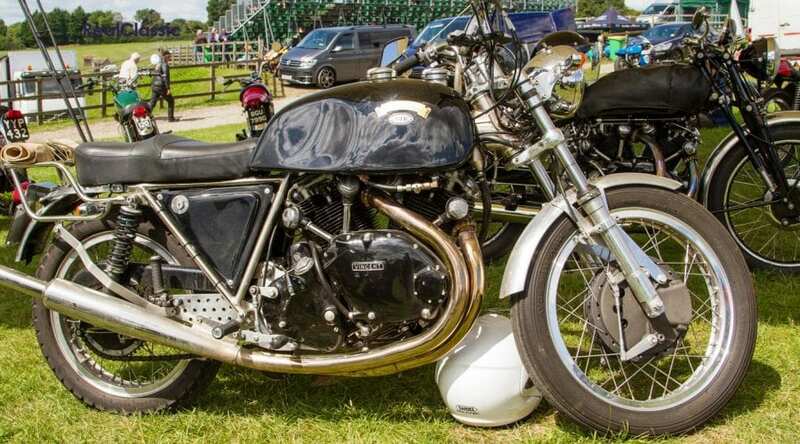 One such bike, built in 1970 by Slaters with an Egli chassis and a Series C Black Shadow engine, sold for £35,000 at auction last year. 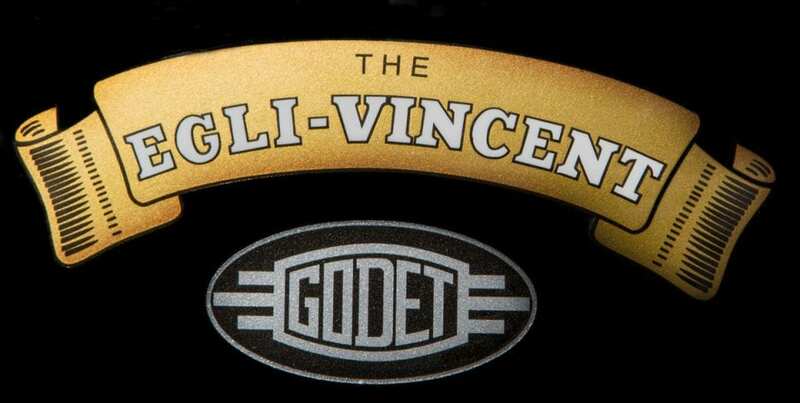 Godet’s site explains that his Eglis are ‘rebuilt bikes but have new parts and new components. 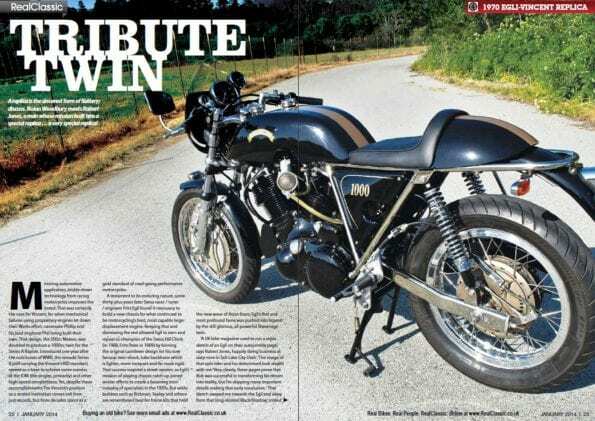 They are GENUINE Egli Vincents.’ There are currently two models to choose from, the café racer and the Sport GT. The latter is intended to suit riders who want something with a bit more comfort when undertaking a bit of stylish touring. 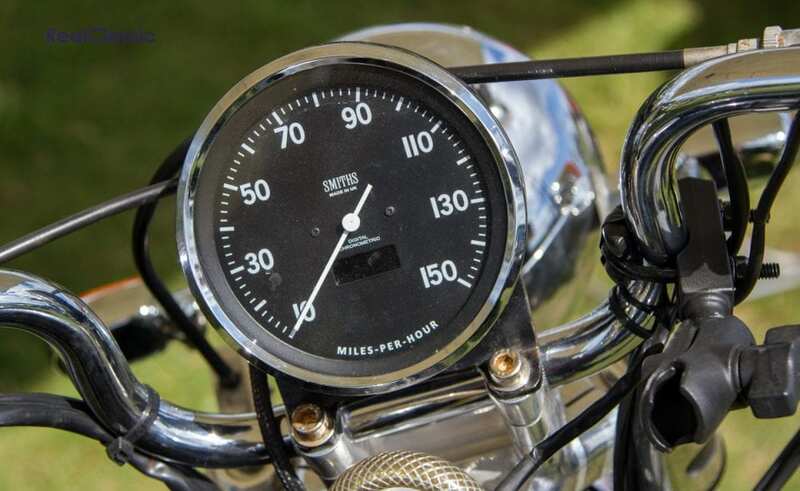 The current specification for a Sport GT is a the traditional 998cc 50° air-cooled V-twin, with a four-speed gearbox, 230mm 4ls Fontana front drum brake, a nickel-plated frame, 35mm Ceriani-type forks, an aluminium fuel tank and, of course, a five inch speedometer. Indicators are available as an optional extra and, given the road conditions in the UK these days, it would appear to be a very sensible option. Something similar is also constructed rather closer to home, by JMC Classics in Cambridgeshire. Unsurprisingly, you will need to have very deep pockets if you decide your life isn’t complete without some kind of Egli Vin. This particular model is a 1968 Sport GT, incorporating the 1330cc engine option – Godet now typically offers the more traditional 998cc motor. 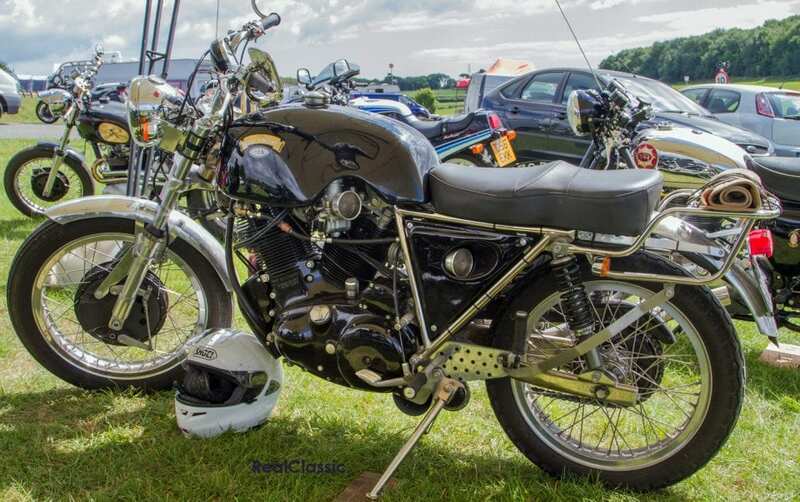 This bike was spotted at Lydden Hill race circuit, where British Historic Racing were holding one of their very enjoyable events. Check their site for full details of the classic bike racing. If you’re very lucky then you’ll see more rare beasts like this one – a gorgeous piece of engineering excellence and style. 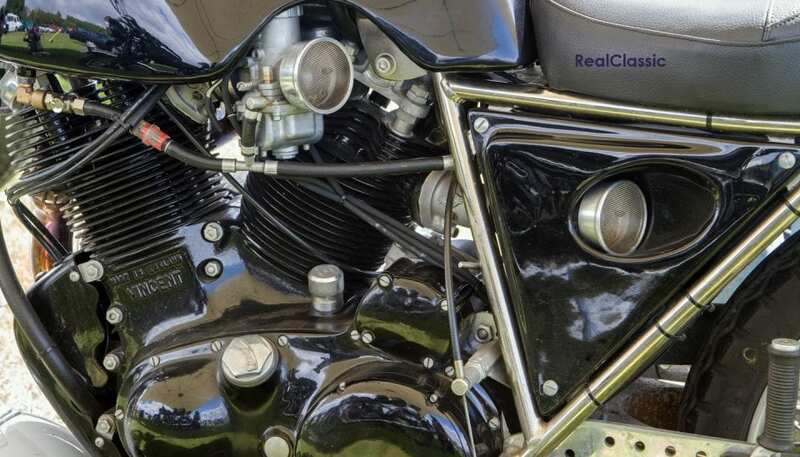 The September 2017 edition of RealClassic magazine is stuffed full of various V-twins including various Vincents, a Hesketh V1000, two types of Moto Guzzi, Morini’s wee vee and even an American interloper. it’s available here in digital and print.